The session will start with a painting from 2015: a large-scale figurative painting that depicts an intriguing and fraught encounter between three figures – a mother, a child, and a man holding a microphone. Years later, Sara returned to the same painting and tried to re-paint it, feeling it did not realize its potential. 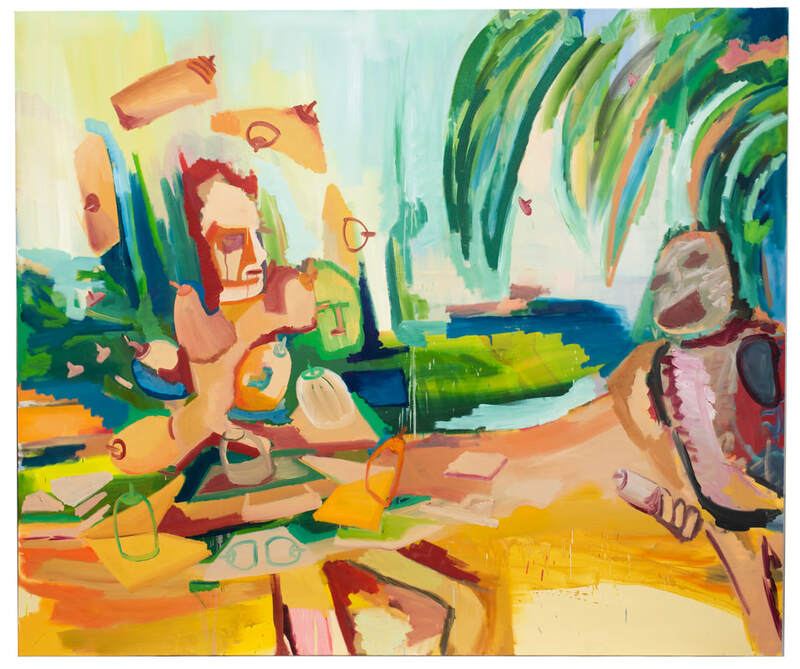 The new outcome is an expressive and wild painting that exaggerates the characters’ inner world, to the point that it lost all relation to the original painting. In the session, Sara will talk about the process of working on the two paintings, on the relationships between women, men, and mothers and the reasons that led her to paint the painting again. Together, you will try to understand the reasons for the substantial differences between the two paintings, and why it is impossible to paint the same painting twice. Sara Benninga lives in Jerusalem and works in her studio at the New Gallery Teddy Stadium, Jerusalem. She is a lecturer at Bezalel History and Theory Department and Tel Aviv University History of Art Department. She holds a BFA from Bezalel, and MA and PhD in Art History from the Hebrew University. She was awarded a printmaking grant by the Jerusalem Print Workshop (2016) and participated in the two-person show “Trickle” at the New Gallery, Teddy Stadium (2017) as well as group shows.